For Madison Chart Goldbridge, CA, should have been just another quick and random stop in her never-ending road-trip away from her haunting past. But sometimes even the best planned journeys end up detouring. 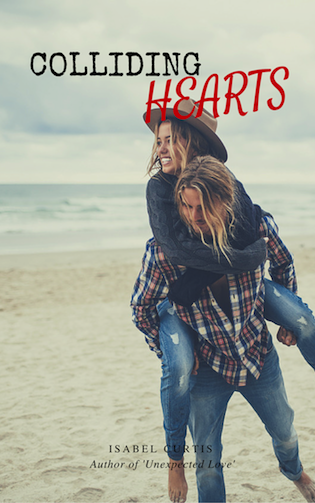 For Hunter Atkins falling in love was not an option. Until Madison came along and made him question his only certainty. But she wants no part in his life, because her secrets are not supposed to be told. Ever. Yet, Hunter is determined to bring down every brick of the wall Madison has built around herself, no matter how dangerous it will be. Because her past is about to catch up, and their time together might not last forever. *** Warning: this is a tough book that deals with mature subjects such as abuse, sexual situations and coarse language. It is not suitable for readers under the age of 18. It is a New Adult Romance with no cliffhanger told from both characters’ POV. Isabel Curtis is a full time writer, translator, and English teacher. She writes mostly young-adult and new-adult genres. Visit her website at isabelcurtis.weebly.com for more information on her books and future publications, and sign up for her exclusive mailing list to receive updates. YA Books: the "Before" series, Dissolving, The summer it all changed. NA Books: the "Unexpected" series, You save me I save you.